Lisa has a woodshop in the basement. I have a DIY Dog Mom Project Workshop in the room off our kitchen. Having both of these areas to work in has been awesome. About a year ago, I tinkered with the idea of making items that weren't pet themed. A few months later, that happened. We had a positive response to that. However, as the weeks and months rolled along, I found that I was making a lot more non-pet themed items. When we approached the Holiday season, same thing. Although we made a few pet themed items, the majority was non-pet themed. Again, we had a positive response, but a few things happened throughout that time. 1. I got overwhelmed. There are thousands and thousands of possibilities for non-pet themed items. It's overwhelming to scope the Internet for ideas. 2. I received quite a few emails. A lot of people sent me emails asking when we were going to make more dog themed items like quilts, toy boxes, decorative signs and leash/apparel holders. 2. I failed to tackle the DIY Dog Mom Projects that I wanted to make. Dog apparel. Dog hats. Dog beds. Dog blankets. Aprons. Etc. Those items got pushed further and further down the list. 3. I missed making doggy stuff. Shortly after Christmas I went through the DIY Dog Mom Project photos. I sifted through all of the items we had made over the years. 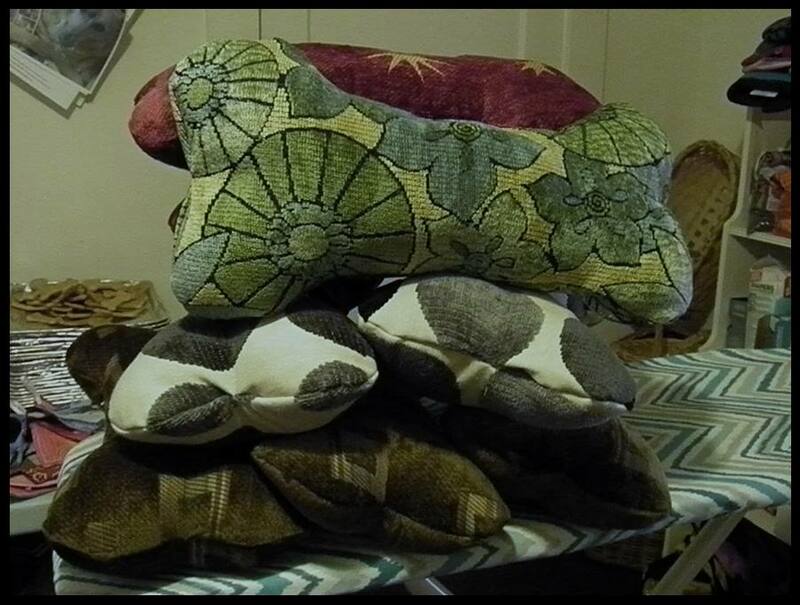 It made me sad that I didn't make a single dog quilt or dog toybox this Christmas. 4. I need to get back to my roots. I'm a Work at Home Dog Mom. One of the main reasons why we started making DIY Dog Mom Projects was to inspire other Dog Parents. Whether it's homemade dog treats or making a simple DIY dog bed, we wanted to inspire other Dog Parents to do the same. You don't have to spend a fortune on gourmet treats or store bought dog beds. For a tiny fraction of the cost of store bought, you can make it yourself. We're taking a couple of weeks off from the woodshop and DIY Dog Mom Project Workshop. After our little break to clean and organize our work areas, we're shifting back over to making dog and pet inspired/themed items. I'll be jumping back into creating more homemade dog treat recipes.